You are an Aries if you were born between March 21st through April 20th. 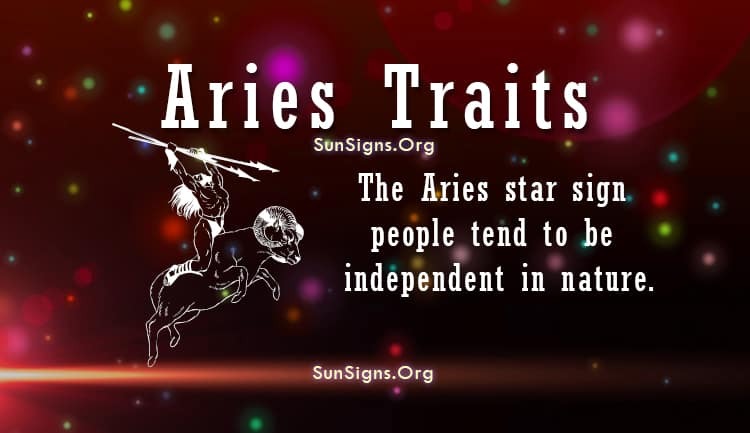 The Aries star sign people tend to be independent in nature. This is a great Aries personality trait that can lead to success. Along with their natural enthusiasm and optimistic attitude, they will have no problem getting what they want if they work hard for it. The Aries zodiac sign are likely to move up quickly in ranks when it comes to work or school. However, Arian can also become impatient and impulsive, which can cause them to become frustrated when things don’t go their way. When it comes to their health, an Aries personality should try to stay as fit as possible, as well as taking proper care of their body by dieting. Stay away from too much salt and sugary foods! Mentally, try to stay happy. Anxiety and depression can easily throw an Aries out of whack if they cannot keep their self-confidence levels high. According to astrology predictions, Aries are generous and courageous. This will help them to attract friends easily. If their friends are adventurous, then they will tend to have a great friendship. If the Aries’ friend is more meek and unexciting, then the relationship will not last long. Aries will try to be as generous as possible when they can to keep their friends around, but this doesn’t always work. Throughout their lives, an Aries male or Aries female will want to seek adventure. If they cannot travel then they may instead try to take some sort of leadership position at work or in a community group. Aries like to be the center of attention when they know what they are doing. The Aries traits show that being a leader comes naturally to you, and being in charge it just something that you love. There is nothing that an Aries hates more than when someone else tries to tell them what to do. An Aries is rather confident in their abilities, and they won’t take it well when someone tries to tell them otherwise. If an Aries does not learn to control them, then they may have problems with authority figures like teachers and bosses. The Aries characteristics also show that you may also have problems finishing problems at work if you get bored with them. Aries are more likely to start many small projects than they are to finish one large project. Although Aries may act tough on the outside, they may be trying to hide a more sensitive inside. The Aries traits show that you are likely to overcompensate for this by being extremely social even though this may make them feel uncomfortable. Those born under the sign of the Ram want their lives to be a little better everyday, and they will do whatever they can to make this happen. Speaking of love, Aries men and Aries women tends to be slow to taking up relationships when they first start dating. They tend to be nervous and unsure of themselves. Once an Aries gets comfortable with themselves they start to pick up more relationships. These relationships usually start with a burst of passion, but they can fizzle out quickly as well. An Aries is nervous about commitment, and they are usually slow to marry, if they marry at all. Of course, an Aries will want to be in control of their relationship. Their partner may think that they are bossy, even though the Aries isn’t likely to see it that way. Anyone who gets into a relationship with an Aries zodiac sign should be prepared for adventure. And if they can’t keep up, then the relationship probably won’t last very long. The Aries man and Aries woman are compatible with Gemini, Leo, Sagittarius, and Aquarius. The Aries personality traits show that when an Aries gets into trouble, they tend to manage quite well, whether they are physically or emotionally troubled. When it comes to emotions, an Aries should stay away from people who don’t quite understand them and try to take control of them.